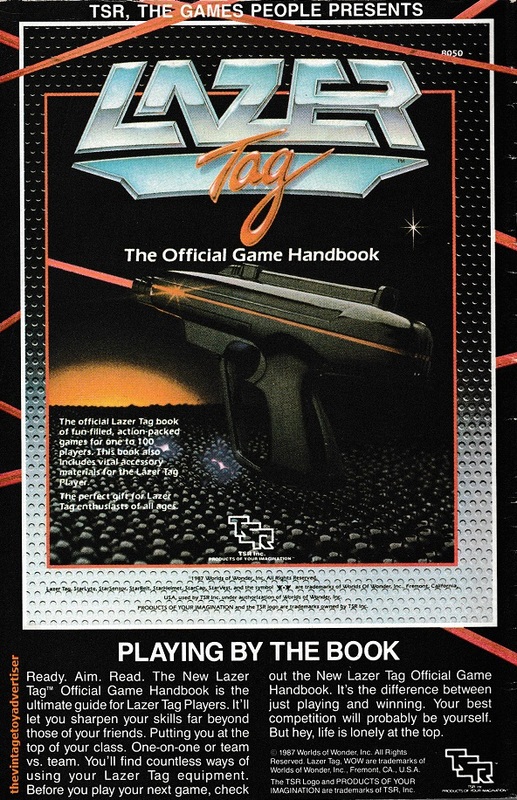 Infrared pursuit and shoot game Lazer Tag was released in 1986 by the Worlds of Wonder company. Players scored points by tagging one another using infrared guns aimed at sensors. 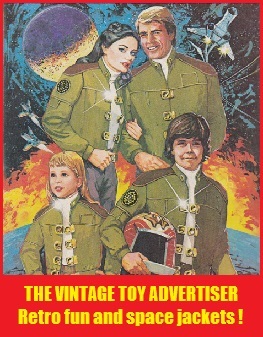 An animated TV series Lazer Tag Acadamy accompanied the toy for one season, as well as various video games. 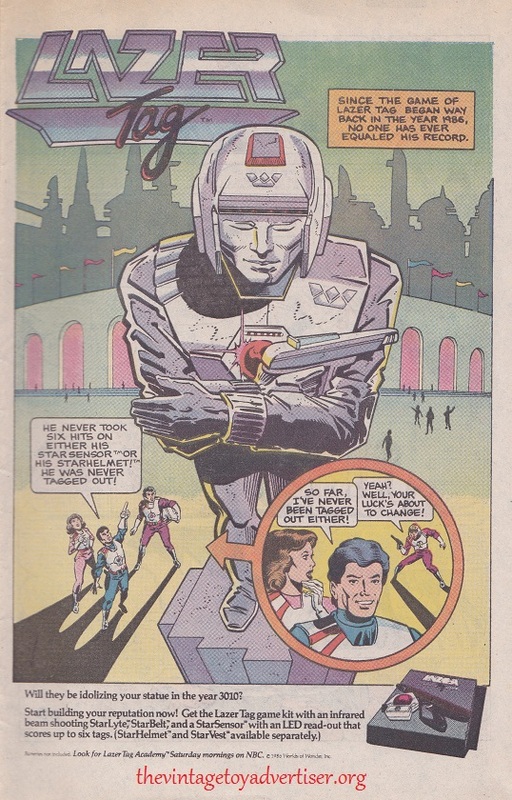 Tiger Electronics eventually took over the brand from Worlds of Wonder, followed by Hasbro – the current owners who market the brand, to date, under their Nerf products. This entry was posted in LAZER TAG and tagged 1980s toys, Lazer Tag, Lazer Tag Acadamy, Lazer Tag TSR hand book, original Nerf guns, retro toys, the vintage toy advertiser, vintage toy adverts, Worlds of Wonder on November 9, 2013 by The Vintage Toy Advertiser.